Profitable Costa Rica Real Estate Investments. Invest with the best in the path of progress in the Papagayo Region of Costa Rica. Depending on your nationality and your tax obligations, there could be some tremendous tax advantages when you invest in Costa Rica real estate. For example there are no capital gains taxes paid to any Cost Rica taxing authority when you eventually sell your investment property. Always Had That Dream But Could Never Find A Way? Rollover your current IRA or 401K to a self-directed plan and start making your Costa Rica dream happen! You know how you meet people and you just like them right off the bat? That’s how it was with Jim and Jane. They are from Sweden and came to paradise to spend 3 months checking it out, looking at property with me. Playas del Coco is part of a group of beaches known as the Papagayo; Playas del Coco, Playa Hermosa, Playa Panama and Ocotal. Located just 20 minutes from the Liberia International Airport (LIR) it is considered by many to be the best town on the Pacific Coast. With a rare ocean view, this well-appointed condo is perched atop the Pacifico complex overlooking the town of Playas del Coco and the blue waters of the Coco Bay beyond. Here is an opportunity town your own villa with a resort community with access to all the amenities at no extra charge. 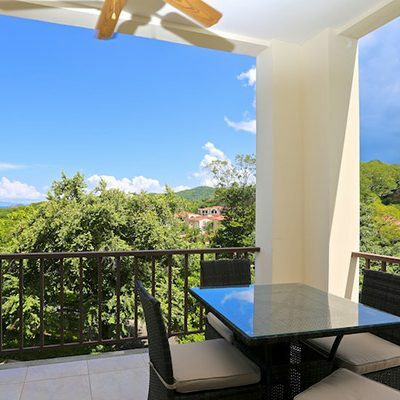 Can you see yourself enjoying a cold tropical fruit smoothie while lounging around a beautifully landscaped pool while monkeys play in the trees and song birds serenade you in your new Costa Rica dream condo? Privacy at its best! Corona Del Mar C-10 is just what you’re looking for. Corona Del Mar is located on the top of the north ridge of Playa Ocotal. When Should I Move To Costa Rica? Welcome to Arrecifes (The Reefs), a Playas del Coco community, located within walking distance to all the great amenities of Playas Del Coco. Welcome to Pacifico Lifestyle 1114, Playas Del Coco. This well laid out fully furnished 1384 sq. ft. condo features upgraded tile, marble and granite throughout.